Many of the experimental and theoretical research groups at Berkeley share an interest in ultracold atoms and ions, e.g. as a medium for precision measurement, as quantum simulators, as new materials, or as a license to dream of what else is possible. 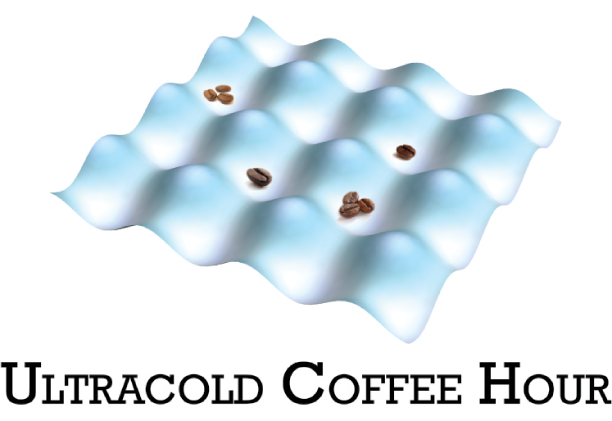 The Ultracold Coffee Hour is held roughly every two weeks as an excuse for these various groups to get together, get to know each other better, and talk about science. A brief, informal presentation (click here for suggestions for speakers)20 minutes long, no slides please!) may be prepared as a focal point for our discussions. But from there, the discussions are expected to range far and wide. If you have an interest in the ultracold, feel free to join us.